Fruit trees bring both healthy fruits for eating and canning and add to the overall beauty and appeal of your yard or garden. Full seasons, loads of sunshine and plenty of rain allow gardeners to plant a variety of fruit trees in Kansas. Gardeners all over the state can grow a variety of apple trees, apricot trees and peach trees. Peach trees grow well in sunny areas of Kansas. 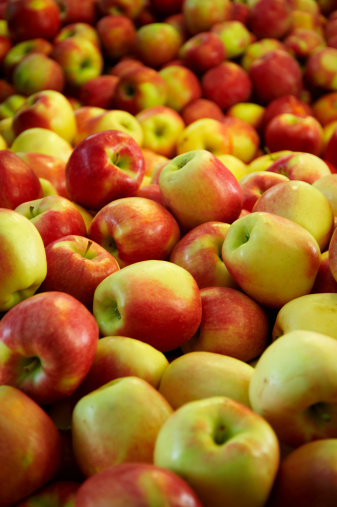 Gala, Empire, Jonathan, Delicious, Jonagold, Granny Smith and Delicious Golden apple varieties grow well in Kansas, according to Kansas State University. Apple trees require cross-fertilization to produce the best fruit, meaning you will need two varieties of trees in your orchard. Planting one-year-old apple trees will produce better results than trying to relocate a mature tree. Apple trees should be planted in grassy areas, away from woods, streams or rivers. These trees need full sunlight to reach maturity and produce the most fruit. Apple trees require biweekly pesticide sprays and regular pruning. While apricot trees only produce fruit once every five to 10 years, according to the University of Kansas, they are beautiful trees with ornate flowers and foliage. These trees bloom late in the spring and require very little maintenance throughout the year. 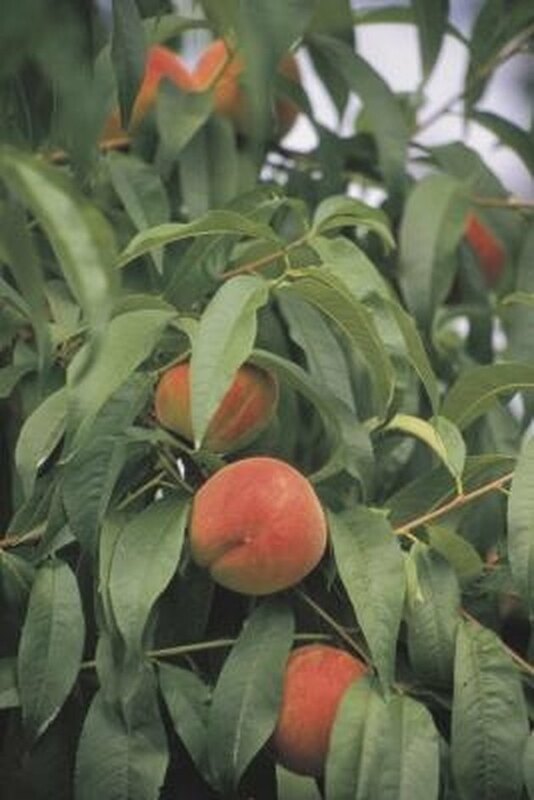 However, planters will need to apply insecticide to protect the tree from invasive peach tree borers and a fungicide to prevent disease from growing inside the tree. Apricot trees also require frequent watering, especially in the warmer summer months. The University of Kansas recommends planting Moorpark, Goldcot, Manchu or Superb varieties. Apricot trees are self-pollinating, meaning orchards only need one variety to produce fruit. Early Redhaven, Redhaven, Harken and Reliance varieties of peach trees grow well in Kansas, according to the University of Kansas. Peach trees grow best when planted as a one year old tree with a good root system. When planting a peach tree, Gardening Know How recommends planting in sandy soil and soaking the roots of the tree for at least six hours before planting.Once planted, the peach tree will require frequent pruning. Gardeners may also wish to thin the fruit on the tree by removing some of the earliest fruits; this will allow the tree to produce better-tasting peaches. Peach trees are self-pollinating and will produce fruit with a single tree. Which Fruit Trees Grow Well in Ohio?